The Cyclotron Institute has expanded steadily since commissioning the original cyclotron in 1967 and is currently upgrading again. 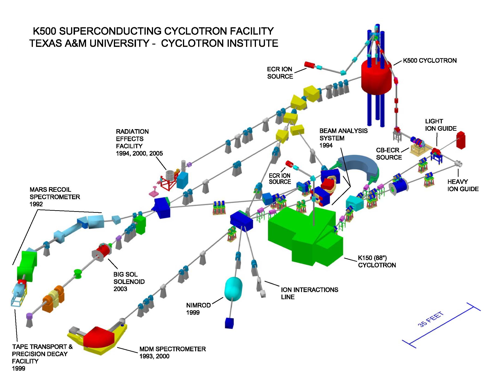 The diagram to the left shows the variety of sophisticated detectors and spectrometers that enhance the Institute’s capacity for nuclear research. Follow the links in the menu for more detailed information about our facilities.